The Taunton Flag was first flown on the town green by the citizens of Taunton, Massachusetts on October 19, 1774. It is sometimes considered to be one of the first American flags because of its early date. 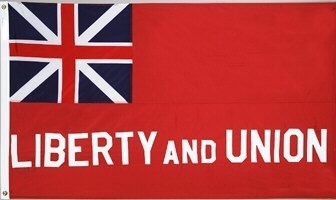 It is based on a traditional British Red Ensign Flag, which was the official flag of Great Britain at the time, with the words "Liberty and Union" added on the bottom. A description of the flag was printed in the Boston Evening Post and it soon spread around the colonies. Taunton, Massachusetts is situated 40 miles south of Boston and 18 miles east of Providence, Rhode Island. It was part of the original Plymouth Colony land grant and is one of the oldest cities in the United States. The citizens of Taunton, Massachusetts first flew the Taunton Flag on the Taunton Green on October 19, 1774, probably as a result of a resolution passed by the town council. It was based on the traditional British Red Ensign Flag, also known as a Queen Anne's Flag or a Meteor Flag, with the words "Liberty and Union" added at the bottom. Many early American flags were versions of the British Red Ensign because this was the flag of Great Britain and of the colonies, since they were British colonies. At this time, many colonists still did not want to break away from Great Britain. Their protests were against corrupt politicians and taxes and laws that had been passed that they believed violated their constitutional rights as British subjects. 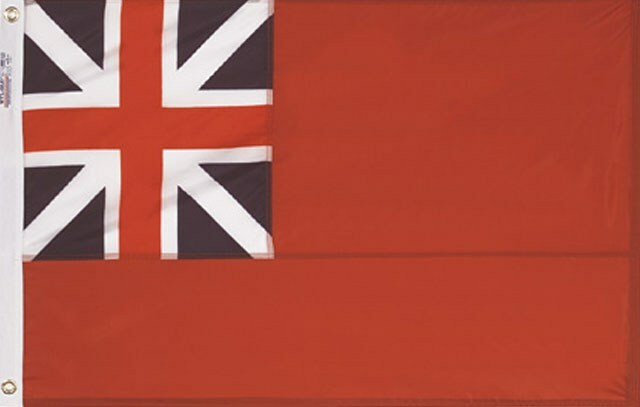 By raising the British Red Ensign, they were declaring that they were still loyal British subjects, but by adding "Liberty and Union," they were declaring that they were not going to have their rights as British citizens violated. After the Taunton Flag was flown in Taunton in 1774, word spread to Boston of this unique flag and a description of it was placed in the Boston Evening Post. 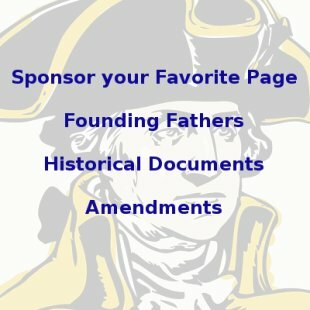 Since newspapers often reprinted articles from other papers in those days, the description of the was quickly spread around the colonies and the flag began to appear in cities and protests everywhere. Many other versions appeared as well with other words and designs. 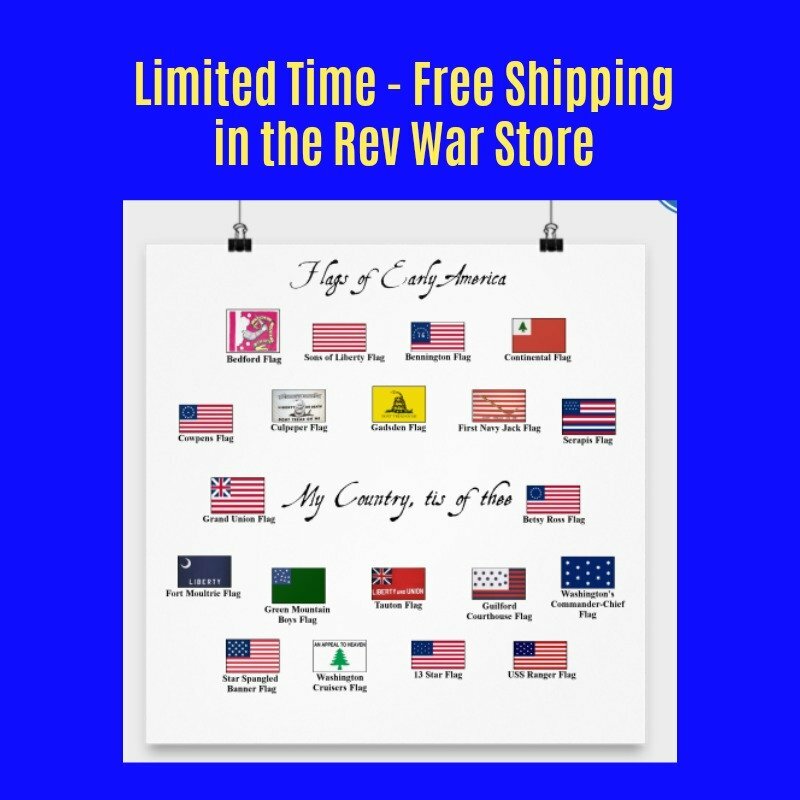 In those days, there was no official American flag, so many towns, counties and militia units made their own flags. 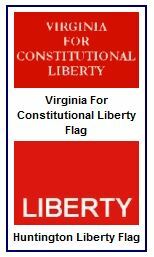 Some other flags similar to the one from Taunton were the Virginia for Constitutional Liberty Flag that flew in Williamsburg, Virginia prior to the outbreak of the Revolutionary War and the Huntington Liberty Flag, which flew in Huntington, New York after the townspeople found out about the July 4th Declaration of Independence. The flag from Taunton is considered to be one of the oldest American Flags, if not the oldest American Flag. It was adopted by the city of Taunton as its official flag on October 19, 1974, the 200th anniversary of its raising. It should be noted, though, that no one knows exactly what the original flag looked like because the modern version was drawn from an incomplete newspaper article from the time. Today the Taunton Flag is commonly flown as a patriotic symbol of the American Revolution and can be purchased from many American flag vendors. Order your own Taunton Flag here and help support this website with your purchase.